Pietro Volpi is the Marketing Dept. Manager at SMI (SmiGroup), one of the world's biggest producers of packaging machines. He is responsible for installing units in over 130 nations all over the world. Pietro Volpi has set new standards in the packaging world by mixing together various factors with a flexible approach to satisfy the customer's needs. He establishes long-lasting business relationships with many top players in the food and beverage industry. 1. Can you please throw some light on SMI’s marketing strategies that attune you to the present industrial landscape? Our company is driven by passion. Through passion and determination, we develop new machines that offer our clients competitiveness, efficiency, and service. We are not afraid of change or of new challenges and we keep on innovating our product range with the same enthusiasm as always, driven by undeniable values such as seriousness, respect for our customers and teamwork. All our marketing strategies are focused on showing our customers the advantages of the high technology-powered bottling & packaging machines we produce in order to help them be more competitive. Through the design and manufacture of innovative machines equipped with Industry 4.0 and IoT technologies, we provide our worldwide clients with smart solutions, capable of fully meeting their demands in terms of efficiency, reliability, flexibility, energy saving. Let us help you be more competitive with smart and cutting-edge systems. 2. Did you get the desired response for the ‘European Business Awards 2017/18’ in the category "Awards of Innovation" from your customers? What were your expectations about this program? The European Business Awards is an important competition as its primary purpose is to support the development of a stronger and more successful business community throughout Europe. SMI has reached the Grand Final of the European Business Awards sponsored by RSM, after being chosen as a ‘National Winner’ by independent judges from a list of almost 3,000 businesses named ‘Ones to Watch’ last year. The European Business Awards created the list after a review of over 110,000 European companies. We received a positive response for having represented Italy within best companies in Europe in the category “Awards for Innovation” with our latest and most innovative project of the EBS K stretch-blow moulding machine. This cutting-edge development is the result of an even more compact, ergonomic, eco-friendly machine. By manufacturing bottling and packaging machines with an innovative design equipped with IoT and Industry 4.0-compliant technologies, SMI provides customers from all over the world with smart solutions, able to satisfy their needs in terms of production efficiency, operational flexibility, energy saving and ease of use and control. 3. What are your observations on how SMI bottling plants and packaging machines enhanced the company’s potential while also meeting the prerequisites of customers? Today SMI is deeply involved in the creation of products and solutions committed to the “Smart Factory”, with technology and systems inspired by the ingenious concepts of Industry 4.0 and IoT (Internet of Things) that SMI proposes in the whole range of equipment, from single machines to complete bottling and packaging lines. With the launch of the ERGON technology, SMI has paved the way to the “new age of packaging” and the “new age of bottling”, showing their ability to reply to market demands. This has been done by offering automated machines, equipped with cutting-edge technologies that guarantee greater flexibility and efficiency, and at the same time are environmentally friendly, easy to manage and monitor within the packaging line. This ingenious procedure, aimed at enhancing the production cycle and making it more competitive, is summarized in ERGON technology, which was initially only applied to the LSK and SK shrink wrappers and has recently been extended to the complete range of SMI packaging machines (LWP and WP wrap-around case packers and the LCM and CM combined case packers). In the secondary packaging machines range, SMI has launched the CWP ERGON project: a compact version of a case-packer standing out for advanced automation, the flexibility of use, energy-savings, and eco-friendliness. 4. Looking ahead, what would be your strategy to further uplift SMI’s products in the packaging industry? 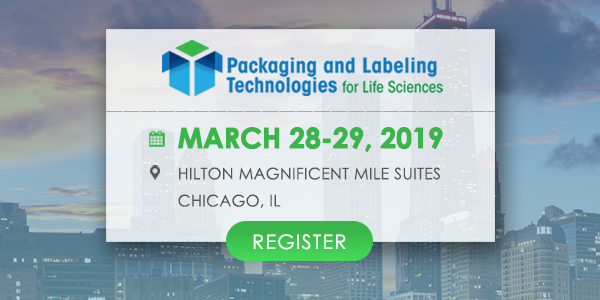 The role of producers of bottling and packaging technology like SMI is particularly important for the success of companies operating in the food & beverage, household cleaning, personal hygiene, chemical, and pharmaceutical sectors. The success can be achieved only through an optimal combination of competitiveness, cost-effectiveness, efficiency, and environment-friendliness of the manufacturing process. The complete bottling and packaging lines supplied by SMI are equipped with cutting-edge technological solutions for energy saving and cost reduction. SMI innovative technical solutions enable to dramatically cut the production costs of each bottle produced by the bottling plant, thanks to specific devices designed to save energy and streamline production cycles of every machine in the plant. As far as the future of packaging industry is concerned, SMI is not afraid of change or of new challenges and is continuing to innovate with the same enthusiasm as always, driven by undeniable values such as seriousness, respect for his customers and team-work. 5. Can you please mention some of the accomplishments that make SMI products proud? With over 6,300 packaging machines installed worldwide, SMI has always distinguished itself on the market for the high level of technological innovation and operating flexibility of its range of machines and systems. SMI offers one of the most comprehensive portfolios of primary, secondary and tertiary packaging machines and includes innovative stretch-blow moulders, integrated system of blowing-filling-capping, shrink-film packaging machines, wrap-around casepackers and palletising systems. SMI bottling and packaging solutions are automated, versatile, interconnected and efficient as they adopt Industry 4.0 principles to make factories “smart”. 6. Do you have any client testimonials you would like to share? 7. What’s your vision for SMI for the next 5 years and beyond? Major international research institutes foresee, in 2018, there will be a moderate rise in consumption within the food market; for this reason, there will be more competition among food and beverage companies than in recent years. Therefore, as a supplier to hundreds of companies around the world working within this context, we continually invest in new products and technologies, so that we can offer continuous support, in terms of innovative solutions, to face and win market challenges. Only by being competitive and having the ability to quickly adapt their production line to new market requirements, can these companies continue to be successful and grow in the future. The answer to these requirements lies in the choice of bottling and packaging machinery featuring advanced technology and flexible management, like those within our range: devices that are compact, ergonomic, eco-friendly, conceived for the “smart factory” environment and equipped with advanced automation and control systems inspired by the principles of Industry 4.0 and Internet of Things (IoT).